I like the original more! I think the face in the second one is distracting, maybe if it had been in negative colors or something but as it is I don't care much for it. The original cover is more romantic but it's too similar to the cover of Falling Under. It's nice but it's not original. The current cover gives me a Rage Carrie vibe with all the twigs and thorns. 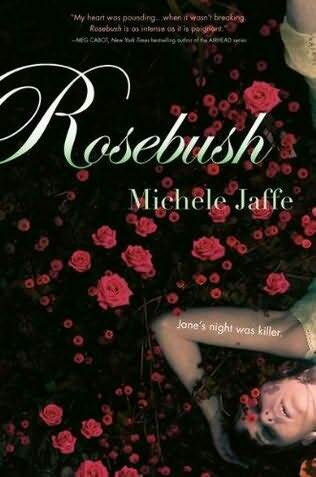 Actually, Rosebush was published before Falling Under. But they do have the same publisher. I think the face in the second one is distracting, maybe if it had been in negative colors. I preferred the original. The paperback was redone to match her upcoming book (that's not related other than being a thriller) Ghost Flower, which also has a bad cover. But I don't know why they thought they had to do a cover update in the first place. I think Ghost Flower would've been better off with an original Rosebush-like cover to match. Really? My friend's paperback is the first cover. The first is better though, the second one leaves less to the imagination. Maybe they were trying to reduce the creepy factor? I bought this book at Walmart a few months ago and it had yet another new cover, a black and white sultry portrait of two teens in embrace. I definitely like the first cover the best of the three, but at least the second fits the storyline! I saw the same one--it's a "Walmart exclusive." I hated it!